Being not so new to the different uses of essential oils, I was pleasantly surprised by learning more about Frankincense Essential Oil Health Benefits and Uses including skincare. To tell you the truth, the only thing I could connect with Frankincense in the pastwas actually its strong smell when burning in the church. Frankincense is actually an aromatic resin and the Frankincense Oil is extracted from this resin. So, before looking into the best Frankincense Essential Oil for skin care reviews, let´s have a look at its many benefits for the skin, including the face. What are the Benefits of frankincense oil for skin? Frankincense Oil has strong antiseptic, disinfectant and astringent properties that make it particular useful if you want to fight acne blemishes. So, these properties make it also good for funguses such as nail fungus. Up to now, I have been using tea tree oil for preventing toenail fungus and treating it but now I have switched over to Frankincense oil. I can say that even if I don´t use it so often, it seems to be a lot more effective than tea tree oil for nail fungus, so I am glad to have found another natural solution for this problem. Just keep in mind that if you want to use Frankincense Oil to your skin or face, it is better to mix it with a carrier oil such as almond oil or any other one. I mix it with almond oil and use it mainly on my neck because it is good for firming and toning the skin and you know how the neck area gets after a certain age. Frankincense Oil is also good for skin anti aging purposes such as improving skin elasticity, preventing wrinkles, lifting the skin and offering anti inflammatory skin protection. Apart from its anti aging properties, Frankincense oil can fade scars and stretch marks as well as heal dry skin and wounds. When it comes to mostessential oils, it is always advisable to mix them with carrier oils before using them on the skin and the same goes with Frankincense oil. Still, I have been using it undiluted on my toe nails without any problem. This oil is also good for relieving pain due to its anti inflammatory properties so that makes it perfect for massaging but it is better to mix it with a carrier oil because you never know what one´s skin reaction to the oil can be. Always perform a patch test on a small area of the skin to be sure that there won´t be any allergic reaction to it. It is also recommended not to use this oil on open wounds but only on the ones that have already started healing. 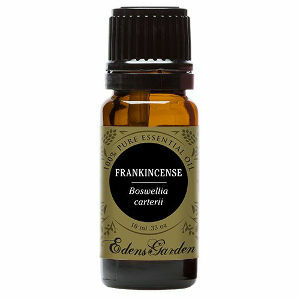 Frankincense Oil has a strong deep smell but, for me, it is less strong and more pleasant than Tea tree oil´s smell. What do the Best Frankincense Oil Reviews say? Here I have selected some of the best quality Frankincense Oils, providing you with their features as well as user reviews. It is remarkable how many natural oils this company creates without the use of any herbicides, pesticides, additives or GMO. All of their oils, including Edens Garden Frankincense Oil, are 100% certified as pure therapeutic and it was nice to read that 10% of their proceeds are offered as a donation to various organizations. Their Frankincense Essential Oil, like all of their oils, is packaged in 5, 10, 30, 100, and 250 ml amber glass bottles with Euro style dropper caps and can be used for a number of different skin conditions. User reviews are extremely positive. People say that this product comes in handy for reducing wrinkles as well as leaving their skin smooth and clearer whileevening skin tone and leaving their face looking fresh. 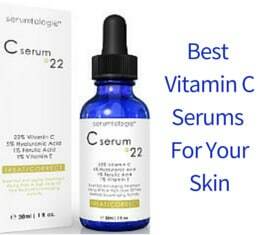 It also reduces the appearance of acne scars and other scars and helps to fade sun and age spots. In addition, users find that it can remove warts and ganglion cysts. Finally, your purchase is followed by a brochure containing 150 ways to use Essential oils, which should be quite interesting. The ¨Now Foods¨ Frankincense Essential Oil comes in a 1 ounce amber colored glass bottle and is used for a number of different skin problems or conditions. 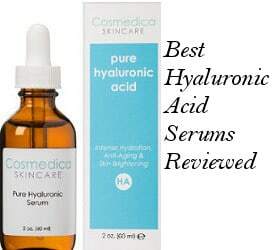 Some users report that it is perfect for people who are suffering from acne breakouts by actually healing blemishes faster while others review that it evens out their skin tone, lightens age spots, and reduces the appearance of fine lines and wrinkles. It also heals scratches and wounds fast and can be used to remove warts and ganglion cysts. Finally, people mention that it leaves their skin looking smoother and healthier. This Majestic Pure Frankincense essential oil is steam distilled and undiluted. It is also free of additives and is a therapeutic grade oil which is packaged in the USA. It comes in a 4 ounce bottle with an eye dropper type of dispenser. The Majestic Pure Company recommends that you add a carrier oil to this product as it can be quite strong. Reviews are extremely good with users finding this oil helpful for a number of different skin conditions such as healing cuts, scrapes and burns, reducing fine lines and wrinkles as well as relieving itching from bug bites and even poison ivy. People also say that it fades scars, skin tags, moles and warts as well as helps keep their skin moisturized. The ¨Plant Therapy¨ Frankincense Essential Oil is 100% pure and undiluted. It is therapeutic grade and comes in a 10m bottle or 1/3 of an ounce. What I have appreciated more about this company is that when a person put a question about which Frankincense (Cartierii, Serrata or Frereana) is better for dealing with brown spots specifically, the seller of the ¨Plant Therapy¨company answered Frereana, which is not the type of Frankincense they are actually selling. That is a professional reply from a company that seems to be putting people´s problems first and not their selling figures. So, let´s see what the product reviews are saying. Users find that this oil reduces the appearance of fine lines, wrinkles and age spots and leaves their skin looking healthier. It also relieves the itching from bug bites and even poison ivy. People use it to remove warts and scars and even fight acne while evening out their skin tone. 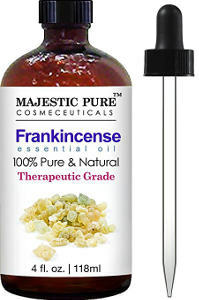 The¨Plant Guru¨ Frankincense essential oil comes in a 1/3 ounce bottle and is100% pure and undiluted. The company states that it can be used to help treat bacterial and fungal infections as well as rejuvenate aging skin. It is also recommended that you dilute it with a small amount of carrier oil. Users like the fact that it sells for such a great price,which is lower than other brands, but some of the people find this actually suspicious. Nevertheless, people review that it treats bug bites, cuts as well as scrapes, clears up acne and acne scars and removes moles. Some of them mention that it actually works as a bug repellent preventing insect bites and it is great at fading age spots and dissolving ganglion cysts. The¨Healing Solutions¨ Frankincense oil is the only one in this review that is followed by a full money back guarantee. 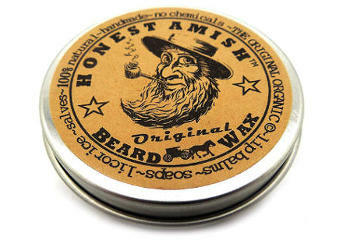 It comes in a 10ml bottle (about 1/3 of an ounce) and is to be used for external use only. This is one more Frankincense oil with a very cheap price which users seem to like and give good reviews. More specifically, they mention that it helps to fight skin infections and speed up the healing of cuts, acne, boils and insect bites. It softens the skin and reduces wrinkles as well as sun and age spots. It also helps to remove warts and ganglion cysts as well as leave your skin blemish free. 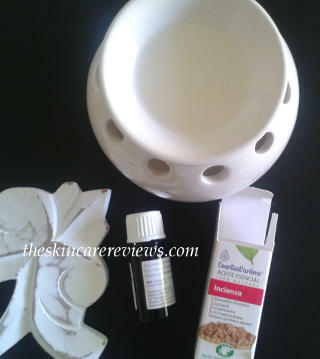 In conclusion, this was our review on the Best Frankincense or Incense essential oil for skincare including its skin benefits and how to use it. For me, Frankincense Oil or else ¨Aceite de Incienso¨ as the label of my very first bottle of Frankincense oil indicates in Spanish has proven to be a very useful and beneficial essential oil to have.